Titleist has introduced the new family of Vokey Spin Milled wedges that conform to the 2010 USGA/R&A Groove Rules and provide more choices for players competing in events that adopt the new groove rule as a Condition of Competition. In response to the USGA and R&A rule change regarding grooves, these new “Condition of Competition” wedges provide optimum performance and shot control within the new guidelines and were developed following a coordinated effort between Bob Vokey, Titleist Golf Club Research & Development, and extensive player testing on the PGA Tour. Given the USGA and R&A implementation provisions regarding currently conforming pre-2010 grooves, Titleist will produce and sell the new Vokey Design Spin Milled C-C wedges while continuing to offer the current Vokey Design Spin Milled wedges introduced last year. 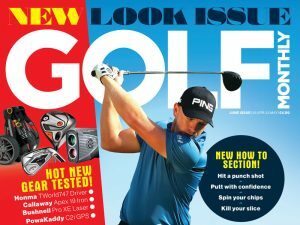 Titleist will manufacture and sell the previous generation “bigger groove” Vokey Design Spin Milled wedges through 2010. While the differences in launch, spin and run-out are player, technique, shot type and lie dependent, in general, Vokey Design Spin Milled C-C wedges will produce higher launch, less spin and more run-out than previous generation Spin Milled grooves. The new groove regulations apply to all new clubs with 25 degrees of loft or greater manufactured on or after January 1, 2010. The objective is to limit the effectiveness of shots from the rough approximating the effectiveness of a traditional V-groove design, without mandating the use of V-grooves. Existing limits on groove width, depth and spacing will remain in effect.